I really dislike the fact that my computers never last more than about three years. I really wish they would last a lot longer. I don’t mind a bit of a slowdown as it gets older, and I’m okay with what software I have…it’s okay if it’s not up to date, as long as it works correctly. So yeah, that averages to about three years. I say this, as it’s May 2016, and this current PC has started acting funky as well. It hasn’t crashed and burned, at least not like the previous one, but it’s bluescreened at least five or six times over the past two months due to bad overwriting errors. There’s also been an uptick of sluggishness, especially when I’m multitasking. It’s also had a few startup issues lately, which is why I’ve been powering down via Hibernate rather than Shut Down. I’ve already made it a habit of saving everything important on my external drives, and having my documents on Dropbox. High processing speed. I’m not a gamer or a high-level programmer that needs a crapton of processing power, but I’d like something that will let me have multiple things going without slowdown. Something that can handle MS Word, Photoshop, Media Monkey, and various art and audio software, sometimes all at the same time. Lots of disk space. I like having a buffer where I can save things straight to the PC and have the externals as backup. USB slots. Lots and lots of USB slots. I don’t mind if they’re USBs, USB2s or USB3s, as long as I got ’em. I gotta plug my externals and other toys in somewhere! Wireless keyboard and mouse. 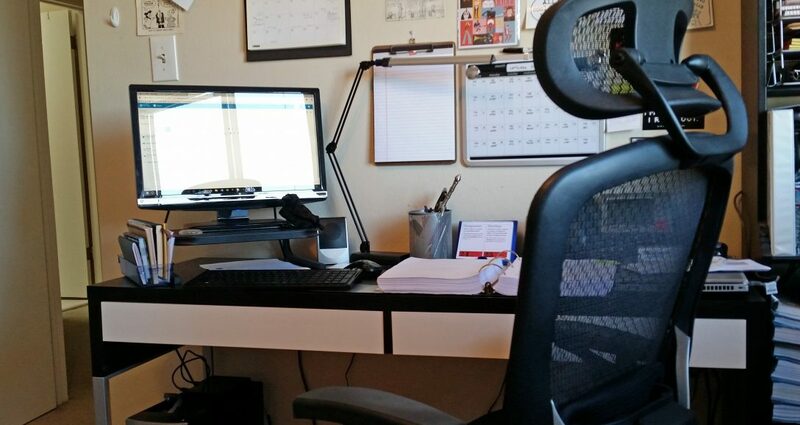 It’s not essential, but it would help clear up clutter and the way I work/sit at my desk. Quality speakers might be nice too, but those aren’t a necessity either. I actually do not need a new monitor at this time — I’m actually still using the widescreen monitor from the previous Gateway. The power button might be a bit wonky and loose, but it works just fine and hasn’t given me any trouble at all. So I’m thinking, in the next couple of weeks or so, I may be taking a trip to Best Buy on Geary, or Fry’s down in Palo Alto, just to see what’s available. I’m willing to put some money into this, considering it’s a unit I’ll be using on a daily basis, sometimes for hours at a time. And if it lasts more than three years before I run it into the ground, all the better! Previous Post On Writing: Who Am I Writing For? Next Post Fly-By: Setting up the new computer!